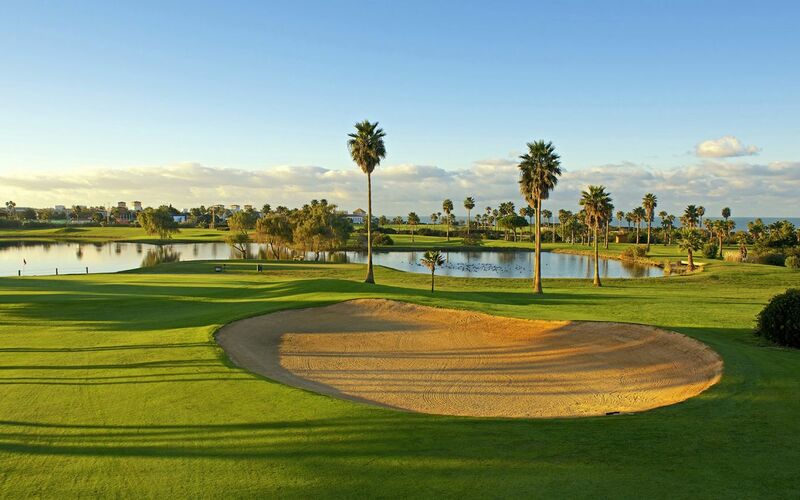 Novo Sancti Petri now offers 36 holes of golf alongside the Atlantic Ocean. 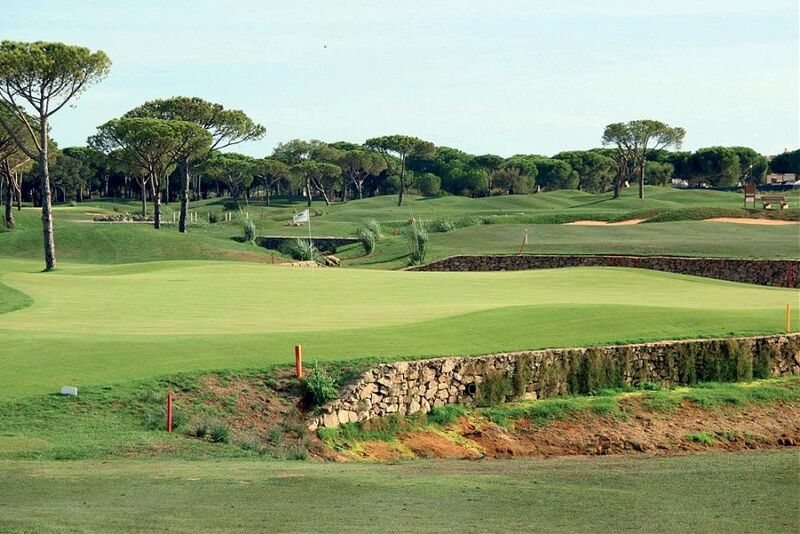 Round A (MAR-PINOS): holes 1 to 9 with widefairways and three lakes. 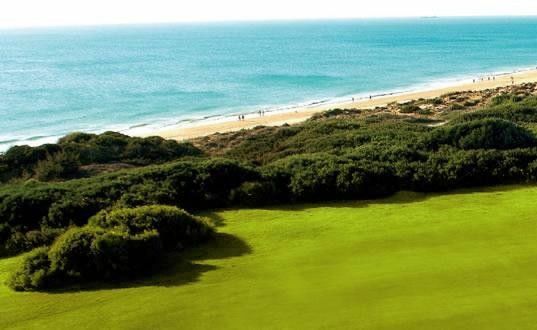 The green of hole 6 is the most spectacular, it is situated upon the beach. Holes 10 to 18 are bordered by pine trees, without water hazards. 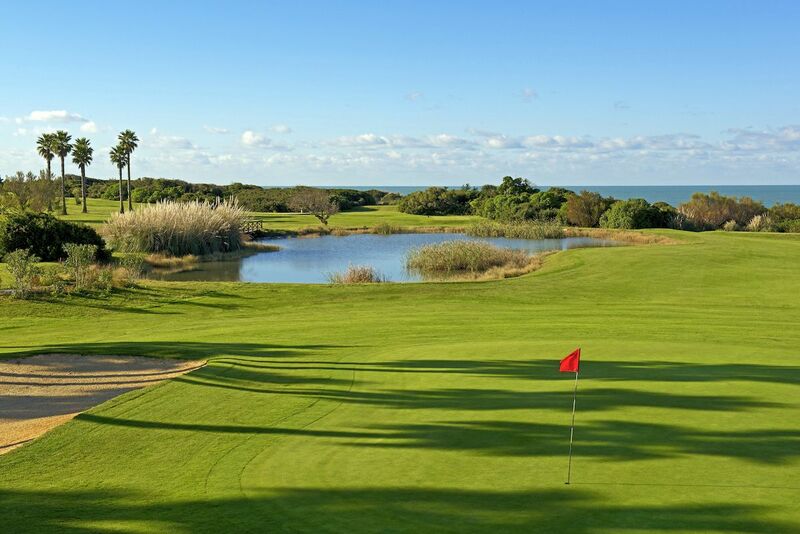 Round B (CENTRO): the first 9 holes are flat, with a lake between hole 5, 8 and 9. 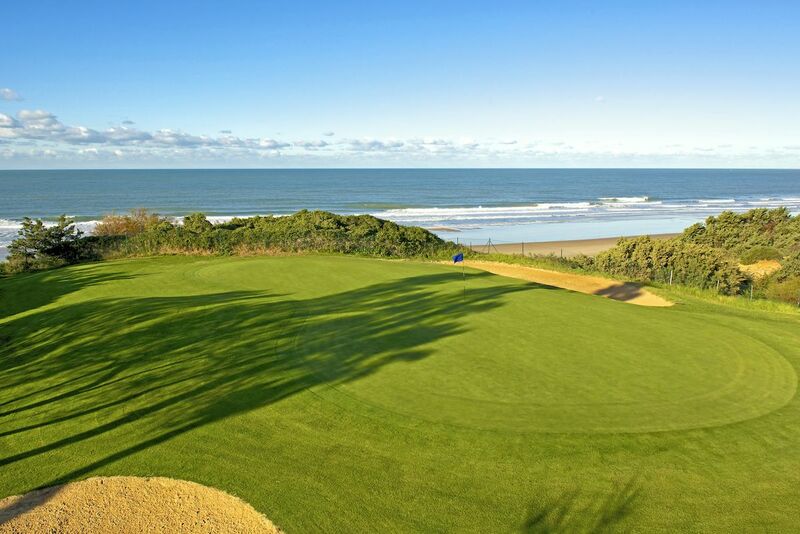 From hole 10 to 13 is hillier and offers magnificent looks over the atlantic ocean. Hole 18 has an S-shaped bunker (Severiano). 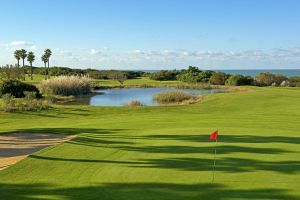 Various water hazards (there are six lakes), the abundant vegetation, bunkers, as well as the ocean breeze made playing more difficult. The course is interesting for players of all levels. 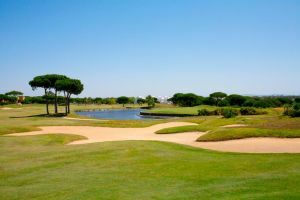 Round A consists of four holes Par 3, ten holes Par 4 and four holes Par 5, whereas round B offers six holes Par 3, six holes Par 4 and six holes Par 5. Both rounds have Par 72. Severiano Ballesteros es el diseñador de este magnífico campo que se caracteriza por dos cosas, su amplitud y sus vistas al mar y la playa de Cádiz. El Recorrido B cuenta con seis hoyos par tres, seis hoyos par cuatro y seis hoyos par cinco. Ambos recorridos tienen Par 72. Los primeros 9 hoyos son planos, con un lago entre los hoyos 5, 8 y 9. Entre los hoyos 10 y 13, el terreno está ondulado, ofreciendo unas vistas excelentes sobre el Océano Atlántico. En el hoyo 18 hay un búnker en forma de S (Severiano). Going from Malaga on the N-340 highway proceed past Conil and Colorado, and 5 kilometres farther on there is a turnoff to the left signposted Novo Sancti Petri. The course is about 5 kilometres from this turnoff. From Cadiz, go to Chiclana and follow the signs towards the La Barrosa beach. 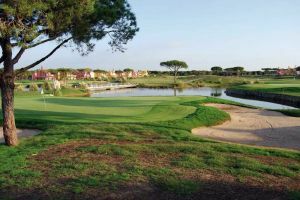 Novo Sancti Petri - Recorrido B (Centro) is not yet in our pool of Golf Courses for orders.